Went for sauna, detox setting. Clean, nice presentation, organized, and towels provided. Attentive staff. The Sunlighten Suana provides both near and far infrared which is most effective for detox. Can really feel effects the next day that it worked in reving my metabolism. Parking is challenging, so allow extra time. There is a parking garage close by on 21st. Look forward to future visits. Working with Primo as my health coach has been a wonderful experience. He is incredibly knowledgeable and explains everything in a manner that is easy to understand and practice. My energy levels have increased, my sleep has improved and I feel better than ever. Everyone should feel this good! Did the Groupon deal to see how it was even thought I live in Marin I thought I give it a try...was a small studio but it worked well with what he had to offer...he seems really knowledgeable and patient and offer suggestions etc... for questions I had,.,,I did not know how to enjoy the full benefit of the infrared sauna he had ,, the nice oils he had.. music was great ..too bad you cannot lay down since it is for sitting up or leaning against the wall… otherwise it was good. I went to Primo Health for their detox package foot bath and sauna. What a relaxing and purging experience. It felt so wonderful just to sit and be nurtured with natural detox treatments. Thanks to Primo Health Staff for a great location and wonderful services. Speaking with Daniel and creating the partnership my business needed was awesome. I'm very thankful for his help, guidance and support. He went above and beyond for me! Primo gave me an active plan for better health. Even as I met with him, he made a few phone calls on my behalf to get things started. I was so thankful that I was able to walk away with a plan in action and with the tools I needed to start my healthy lifestyle. Thanks Primo! He gives you all the time you need!!! Daniel is an amazing person, nutritionist and friend. He helped my husband and I two years ago get from unhealthy eating habits to understand how important it is to choose the right foods. We both struggled with health issues and had no idea how much food was contributing to our problems. 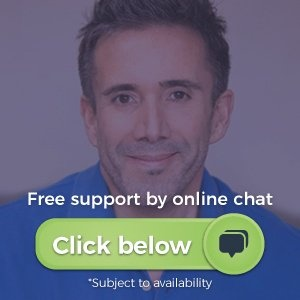 I contacted Daniel the other day to go over some of the digestive issues I have been having. He took as long as it I needed to get me back on track. He is a true blessing!!!! I was really encouraged by the help for leaky gut with Repairvite program. I still have other issues, and I feel Daniel will be there to keep me on track or to give suggestions to what supplements can help. He is knowledgeable in nutrition and what to avoid in my diet. I also appreciate answers to my questions by email. I felt like Daniel listened to what I said about both what I am dealing with and what I am currently doing to address it. He understood the nature of my problem and provided valuable feedback, even though it was a little 15 minute consult, it was valuable. Primo is Excellent! I am so glad I chose to work with him and allow him to guide my goal of optimizing my health. I am currently half way through his detox plan and the results so far are incredible. My skin is more vibrant, my insides physically feel magnificent, I am losing some weight steadily, my clarity of thought is much sharper, I am more aware of my emotions and I am feeling more energetic. For now I am just taking things day by day but I must admit I am so excited for the future! Once we were connected it was very helpful. 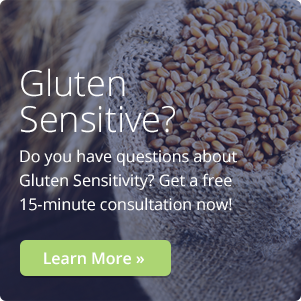 I have a lot of background knowledge as I have done a lot of research and have been dealing with leaky gut for years. Dan is the first one to acknowledge that healing leaky gut is not permanent.....it most likely will return repeatedly. I am looking forward to using the products. The first ones I have seen that are so comprehensive I their purpose and ingredients. I find myself challenged by Western medicine and the lack of knowledge our doctors have or want to help us naturally. Primo helps me with this. He's always current and advises me with a homeopathic or natural way to getting better, healing and all around arriving to a balanced mind, body and spirit. He doesn't persue the quick answer, but the steady answer customized to my needs. He takes the time to go over every detail and after a session you will have the guidelines to better yourself! can't say enough for Daniel and his programs! My husband has had sleep and pain issues for over two years. I contacted Daniel. He immediately tested him and put him on an antiinflammatory diet with supplements. He has lost weight, is sleeping more each week and has energy that I haven't seen in years. I am also following this diet and have more energy and Feel better in just 6 weeks. Daniel is an amazing friend and nutritionist. He was always available when I needed him and followed up with information regarding my concerns. It Works Because the Coach Works! I worked with Doctors, including GI Doctors for 6 months on Small Intestine Bacteria Overgrowth and associated problems without success. I decided to try the Naturopath Approach and contacted a Naturopath School in Berkeley and they recommended Daniel. I could not be happier as my digestive issues are gone after 1 month. Body optimization and intelligent aging are my goals. Primo has expertly placed me on the path to accomplish these goals with a four week paleo diet and corresponding supplements. With Primo's suggestions, I am already feeling better and am enjoying an increase in the performance of my mind and body. I came to Daniel seeking some advice on how to safely gain weight when taking on a new strengthtraining work out routine. Daniel listened to my goals, gave me some great ideas on how to get more out of the foods I'm already eating and how to gradually add more. Was very helpful. I've been working with Daniel for about 4 months now. He's really invested the time to listen to my goals, and to come up with a nutritional plan that fits me. I came to him to get help with a new strength training, weight gain regimen, and since starting with Daniel I've put on 10 lbs. of muscle. Primo has a deep knowledge of nutrition and a talent for explaining it plainly and simply. Working with him, I felt informed, on the right track and in super good hands. I also felt like I could ask him anything. Another standout quality was the exceptional care he took in listening to my goals and concerns and how diligently he always followed up with me to find out how I was doing. I would absolutely recommend him to anyone. I am just beginning my quest in the alternate health world, and Primo Health Coach identified issues that my own doctor failed to address. He is very knowledgeable, very sincere, and I felt totally comfortable discussing sometimes embarrassing issues with him. 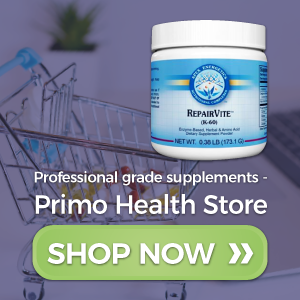 I recommend Primo if you want to put your health on the path to recovery. i believe Daniel Primo Sanelli is a man who genuinely cares about people. It is easy to trust someone with that kind of heart. We need more people in the health profession like Daniel Primo Sanelli. Daniel was thorough, very informed, explained everything easily and clearly. I highly recommend him to anyone. Daniel is very knowledgeable and personable. I'd highly recommend him. He was able to identify some potential issues that other doctors seemed to have missed. Will go again and again! Went for a foot bath and detox. Nice little facility. Very clean and smells great. I've been twice and will definitely be back.